This is the first tender for a station on the bullet train route. The Sabarmati terminal hub will act as originating point for those boarding the Mumbai-Ahmedabad bullet train from Ahmedabad and as terminating point for those boarding the bullet train from the Bandra-Kurla Complex (BKC) in Mumbai. It will be based on the theme of Mahatma Gandhi's famous Dandi March of 1930. The 16 agencies bought bid documents during a pre-bid meeting here, spokesperson of the National High-Speed Rail Corporation Ltd said (NHSRCL) Dhananjay Kumar said. All the companies are based in India, he said but did not disclose their names. The last date for submission of bids are October 5. The tender for developing the multi-model hub was floated last month. According to the official, once the bid is awarded, work on the project, expected to cost around Rs 3 billion-4 billion, will start within one month, and take 30 months for completion. 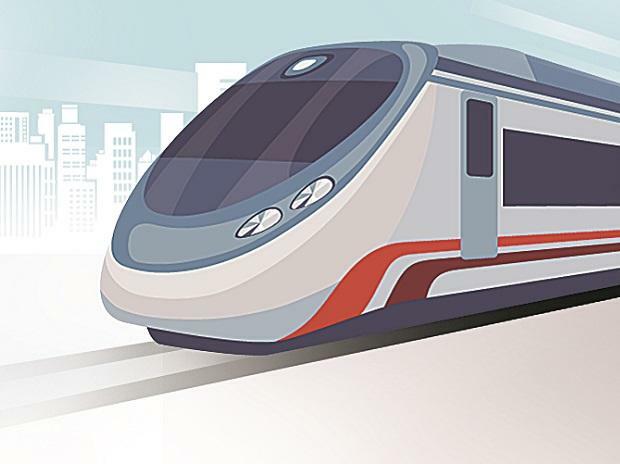 The high-speed corridor is proposed to start operating from August 15, 2022. The terminal building will be a major interchange hub facilitating passengers to have a seamless connectivity with the Indian railway network, the Ahmedabad metro and the BRT corridor. A pathway will connect the hub to the platforms from where the passengers can catch the high speed train. The terminal building is also proposed to be developed as a major business hub with office space and hotel usage. The building will be themed after the Dandi March of Mahatma Gandhi and his imprints will be the mainstay of this structure. Meanwhile, NHSRCL has undertaken the preliminary work of relocation of the trees falling on the alignment of the rail corridor. Kumar said 2,500 trees along the Ahmedabad stretch of the corridor will be relocated. The corporation has engaged a tree spade', an all hydraulic tree transplanting machine for the relocation of the tree. The number of trees for relocation in the entire stretch between Ahmedabad and Mumbai is still being assessed. However, we have already started relocating the identified trees in the Ahmedabad stretch of the project, Kumar said. The major physical work of the project is expected to begin from January next year. The 508-km-long high-speed corridor will have 12 stations. Trains without stoppages will take roughly two hours and trains with stoppages would take roughly 3 hours to cover the distance between Ahmedabad and Mumbai. Trains on this stretch are expected to touch a maximum speed of 320 kmph. The corridor is proposed to be built at a cost of Rs 1.08 trillion.